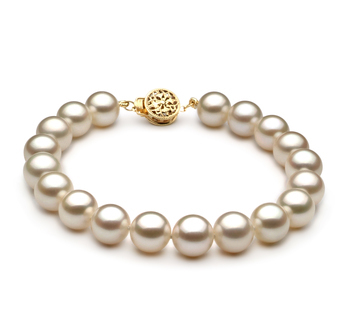 Large, Luxurious, and the Ultimate in White Freshwater Pearl Bracelets, the White 8-8.5mm AAAA Quality Freshwater Pearl Bracelet comes out on top in all categories to join the elite and exclusive Black Label Collection. 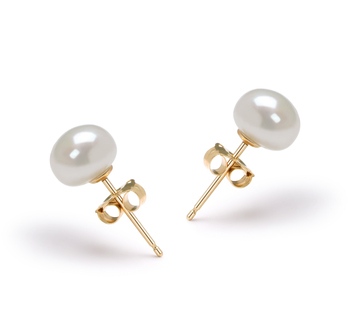 At 8-8.5mm, the White Pearl is larger than the typical cultured freshwater pearl. 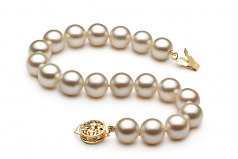 Combined with the other grading classifications of the perfect shape, body, luster and overall grade you have a rare and desirable white pearl. Easy to pair with any wardrobe fashions, the casual, business or formal wear lines can easily transitioned back and forth with little to no effort. 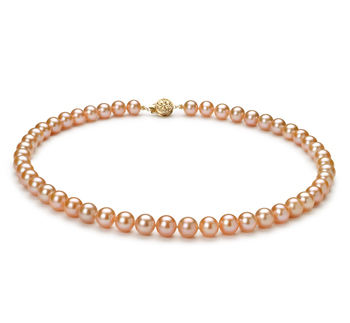 The pearls are hand strung on a fine silk double knotted thread with each pearl being separated with a hand tied double knot to ensure that no two pearls touch, rub or cause any damage to each other. The ultimate White 8-8.5mm AAAA Freshwater Pearl Bracelet is securely fastened with a fashionable clasp. One white pearl bracelet to last a life time, for generations and traditions is just the start of something wonderful and exciting.